Attaches to either wall or hangs on door with special brackets supplied. Wood, metal and glass construction. If you are looking to maximize the space in your room, you should consider this over the door mirror. 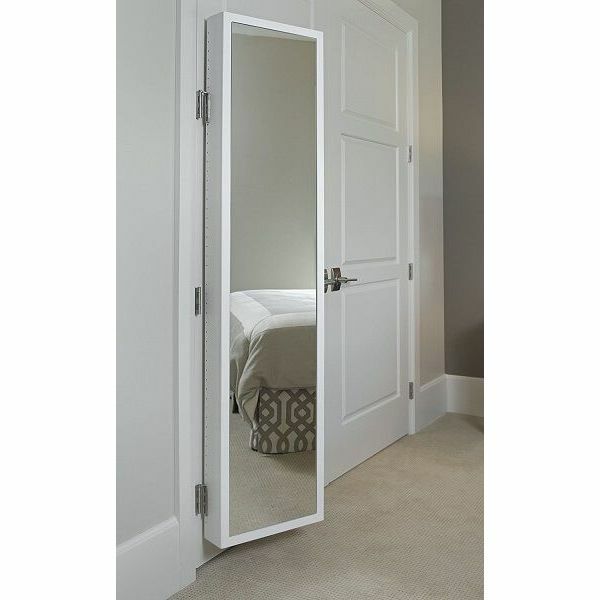 This is a full-length mirror that will conserve a lot of space in your room since it will be suspended off the ground. The mirror itself is framed inside of a durable and elegant cherry wood frame. Inside of the casing, you will also find plenty of room to hide your jewelry. Although this is designed to be an over the door mirror, it also has the necessary brackets required to be mounted to a wall. 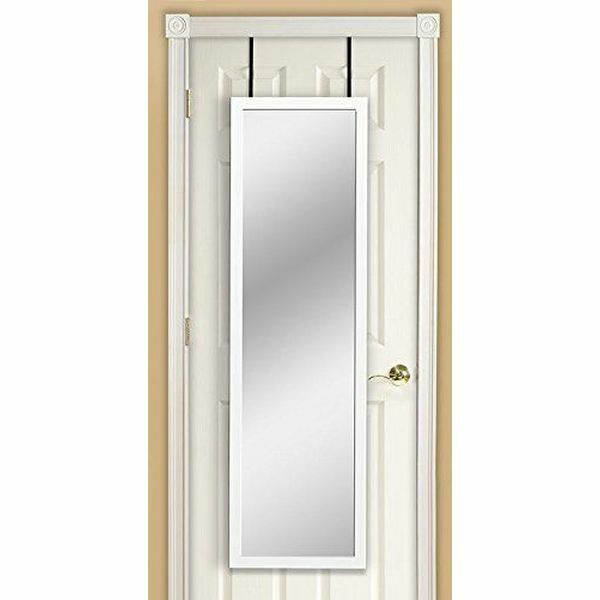 This over-door beveled door mirror would be a great choice for those of you who are looking for an alternative to the traditional, rectangular full-length mirrors. This mirror does an excellent job of rounding off what is an otherwise primarily square room. The frameless design also gives the mirror a very sleek appearance; almost as if it were part of the door. An easy mounting kit is included that allows it to be attached to any door without causing damage. By using this mirror, you can turn your bedroom into a dressing room found in your favorite clothing store. Jewelry armoire and mirror all-in-one! 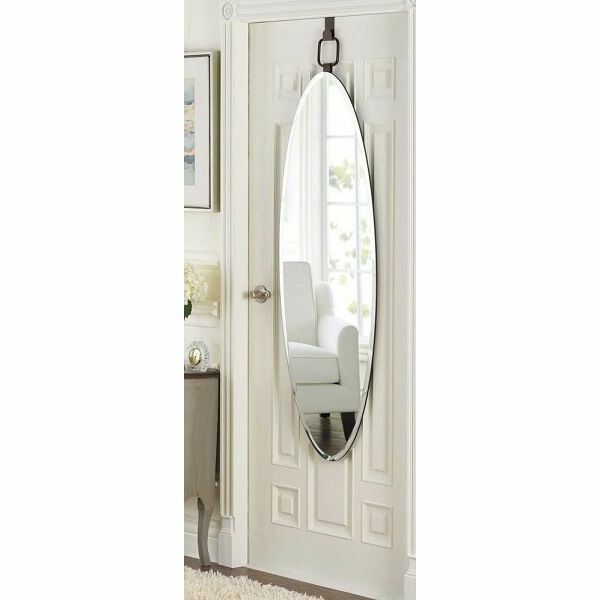 If you are someone who loves jewelry, you will love this Mirrotek over the door mirror. On the outside, you can use the mirror to ensure that the jewelry you plan to wear today does not clash with your outfit. Behind the glass, you will have quick access to all of your jewelry as the mirror’s frame also serves as a jewelry armoire. The best part is that this is an extremely safe place to store your jewelry as the mirror looks far too slim to possibly store anything. Make this multi-use mirror yours for a great low price. Give yourself the convenience of a floor mirror without having to take up any floor space by incorporating this Mirrotek Over The Door Mirror into your home. 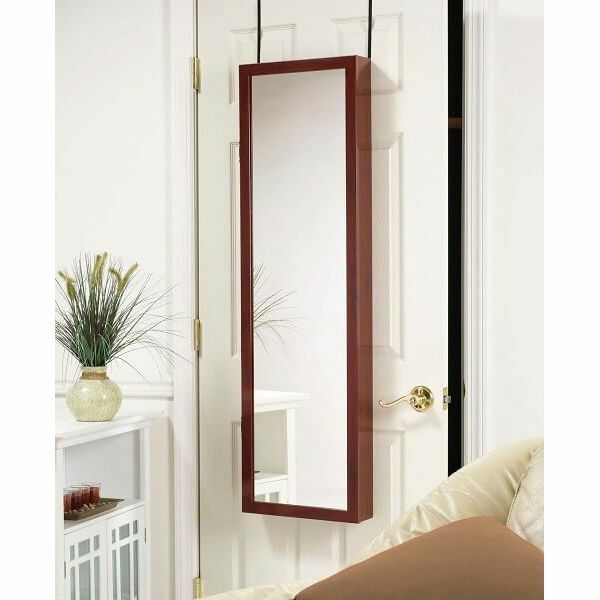 The mirror hangs from any door in the house and measures 48 inches in height by 14 inches in width by 1.5 inches in depth. Be sure you always look your best with this Espresso Finish Wooden Cheval Bedroom Wall Mount Mirror, a full-length mirror that won’t take up any floor space. 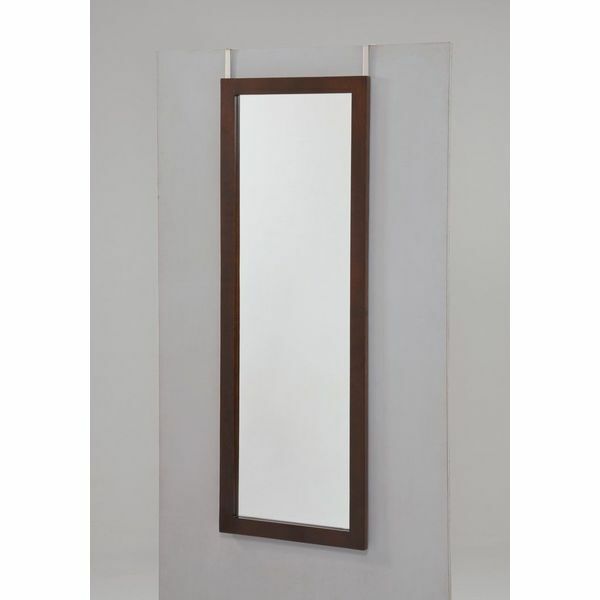 The mirror features a wooden frame with an espresso finish and measures 50.5 inches in height by 17 inches in width by .75 inches in depth. 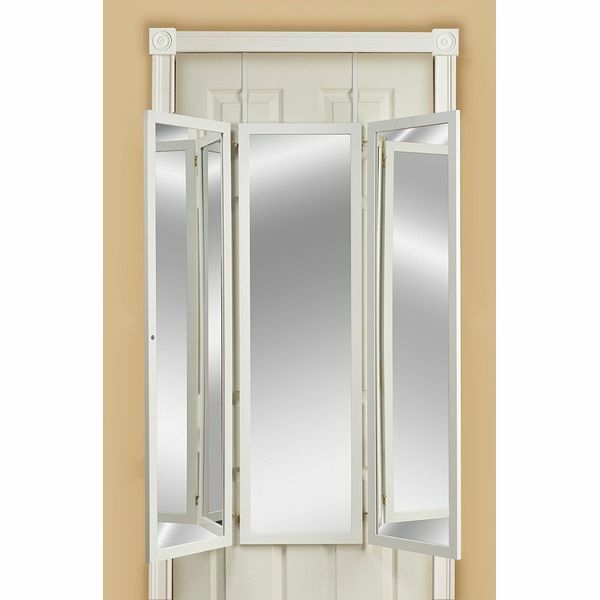 Get a look at yourself from all sides and feel confident in the way you look when you dress with this Triple View Professional Over The Door Dressing Mirror. The mirror features three different mirrors that fold out from the main mirror in front, all of which are made from shatterproof glass.